Nepalofficially the Federal Democratic Republic of Nepal is a landlocked central Himalayan country in South Asia. Nepal is divided into 7 states and 75 districts and 744 local units including 4 metropolises, 13 sub-metropolises, 246 municipal councils and 481 villages. It has a population of 26.4 million and is the 93rd largest country by area. Bordering China in the north and India in the south, east, and west, it is the largest sovereign Himalayan state. Nepal does not border Bangladesh, which is located within only 27 km (17 mi) of its southeastern tip. Neither does it border Bhutan due to the Indian state of Sikkim being located in between. 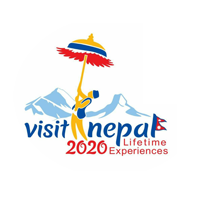 Nepal has a diverse geography, including fertile plains, subalpine forested hills, and eight of the world’s ten tallest mountains, including Mount Everest, the highest point on Earth. Kathmandu is the nation’s capital and largest city. Nepal is a multiethnic nation with Nepali as the official language. Nepal is a mystical land that opens amid grandeur of mystical landscape and topographical distribution. Surrounded by mountains and hills from all sides it offers an excellent trekking trails for keen trekkers and climbers around the globe. Trekking in Nepal is one of the popular choices for travelers from different part of world. 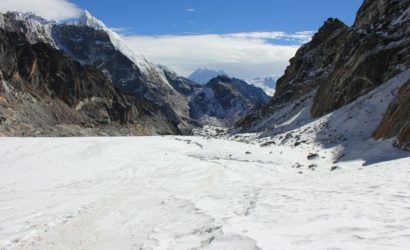 Trekking in the Everest region is a great opportunity of every passionate trekker who is looking for an adventurous trekking experience while enjoying its natural splendor. 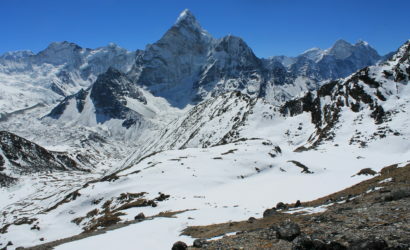 Trekking in the Everest region takes you to the world of mountains and beautiful Himalayan region. 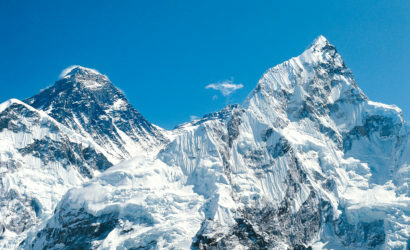 Mount Everest situated at an elevation of 8848m, carries with it a majestic beauty bestowed by the nature. 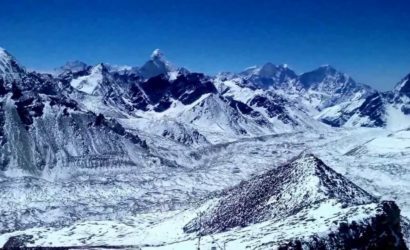 Everest region is one of the most popular trekking destinations among the trekkers who would opt for an incredible trekking experience. 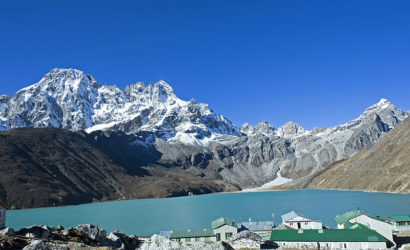 The Everest region trekking is one the most renowned trekking trail in the world. Four of the world’s six tallest peaks namely Mt. Everest, Mt. Lhotse, Mt. Makalu and Mt. 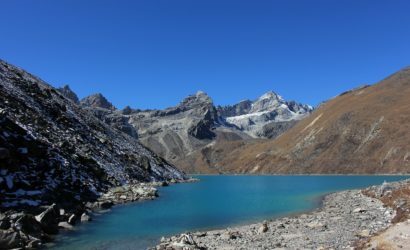 Cho Oyu are situated in this beautiful region. 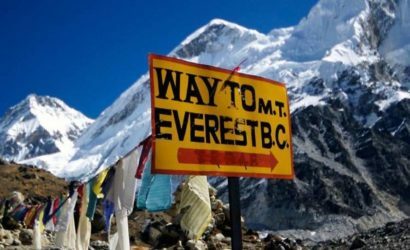 Everest region trekking is popular amongst the trekkers since the first trekking endeavor in the year 1953, that was when Sir. Edmund Hillary and Tenzing Norgey Sherpa first triumphed over the highest peak of Mt. Everest. 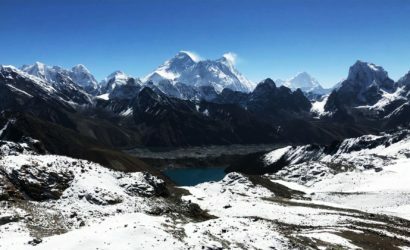 The Everest region trekking is luring the increasing number of expeditors who are seeking to enjoy the unique blend of both adventure and cultural/natural sightseeing. 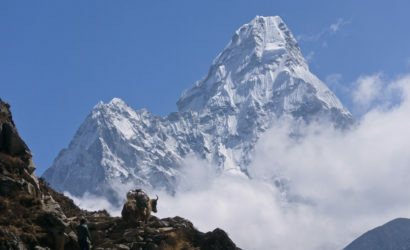 The amiable traditions and unique cultures of Sherpas’ are yet another interesting part of the Everest region trekking. 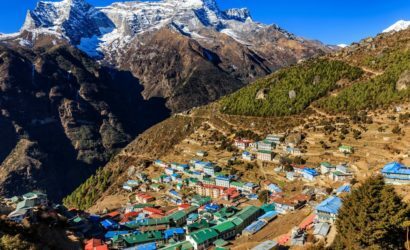 Trekking through the Everest region takes you to the world of Himalayan beauty where you get to witness the beautiful Himalayas, wonderful Sherpa culture and exquisite traditions of the people living in the Himalayas. 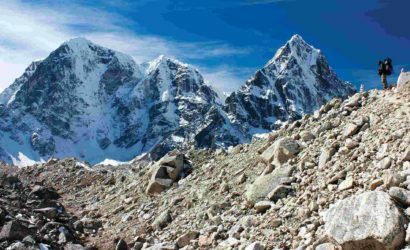 The Everest region trekking enhances your adventure while sightseeing in Sagarmatha National Park which is a habitat for different varieties of floras and faunas. The region is also embellished with ancient Buddhist monasteries, beautiful glaciers, rivers and most of all the breathtaking beauty of the Himalayan range.